Fire Emblem Fates: Revelation (known as “Invisible Kingdom” in Japan) is the third version of Fire Emblem Fates, available as downloadable content for all other editions of Fire Emblem Fates. 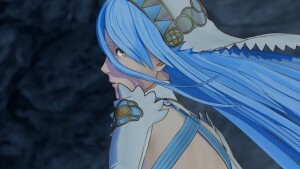 Revelation follows an alternate storyline where the player does not side with the warring nations of Hoshido or Nohr, instead choosing to walk a previously unseen path. Like Birthright and Conquest, Revelation is a complete game experience, with a similar amount of content as each of the other two versions. In all territories, Revelation is (or was) not available for download during the release date of the other editions. Instead, it will be (or was) released at a later date. 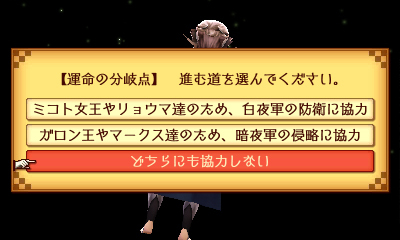 Once Revelation is available, players can purchase and download it by selecting the “Explore Paths” option from the main menu before starting the game. Those who own the Special Edition can download it for free. After downloading Revelation, players can begin the new storyline by choosing the third (bottom-most) option during Chapter 6’s “Branch of Fate”.